"Use of cement and clay tiles clay remains a popular choice..."
A wide variety of roofing materials are utilized in the state of California. 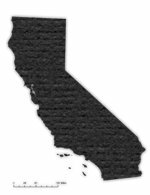 Overall, California exhibits a greater variety of roofing materials than almost any other state in the United States. Traditional asphalt shingles are still a fairly common choice for California homeowners due to the lower cost, variety of colors, and low maintenance of that material. Due to recent increases in large-scale fires in some parts of the start, use of wood as a roofing material has become less popular, and in some parts of California use of wood on new roofs is significantly restricted and/or regulated. Use of cement and clay tiles clay remains a popular choice for those California residents who are willing to pay a higher price for a more attractive and exotic roof on their home. The "green roof" is slowly gaining traction in California. Today, use of the "green roof" is gaining popularity in the public sector and is expected to incrementally increase in popularity among the private sector over the next few decades. The green roof has been used in various parts of Europe for at least 200 years. Green roofs are composed of thin layers of living vegetation deposited on top of a conventional roof. The use of the green roof will become increasingly popular for home and business owners that are passionate about the environment and would like to utilize a roof strategy that contributes to the environmental and the aesthetic attributes of their community. In many parts of the state, anyone considering replacement of more than 25% of any existing roof must first secure a permit allowing that work. For new construction, residents living in any area of the state that been designated as a high-hazard fire zone must install a roof that, at a minimum, meets all the requirements of a Class A roof.